At Merityre Specialists we receive a wide range of queries regarding vehicles, vehicle maintenance, tyres, driving and the services that we provide. We have compiled an overview of the most popular vehicle care and maintenance queries. Simply select the section your question relates to and find the information you need. If you can’t find the question you were looking for, you can contact your local Merityre Specialists where one of our specialists will be happy to offer advice. How can I choose the best tyres for my car? Size – You will need to know the size of tyres your vehicle requires before purchasing them. You can find this information on the tyre sidewall. Specification – Different cars require different tyres, so you should filter your results by choosing car, 4x4 or van tyres as required. Price – Another decision you will face is whether to buy budget or premium tyres. Take a look at our advice for further guidance on buying budget or premium tyres. Season – When you buy your new tyres you should take in to account the weather conditions that you want them to cope with. You can choose winter, summer or all season tyres for your vehicle. Take a look here for more information on seasonal tyres. Other Requirements – If you are still faced with a difficult decision following the filters above, you should then think about what you demand from a tyre. Is it important that the tyre can perform at speed or that it is fuel efficient? To help you make an informed purchase, use the EU Tyre Label. Why should I spend more money buying premium branded tyres when budget ones are so much cheaper? Choosing the right tyres for your vehicle can be a difficult decision, but one which should be based upon performance rather than price. Premium tyres are more expensive than budget tyres because you are paying for the time, money and technology which has been invested in to them. Premium tyres are often tested relentlessly to ensure that they meet high industry standards and offer a superior performance and enhanced safety features. Take a look here to read more about the difference between premium tyres and budget tyres. What does your online tyre price include? Will Merityre fit tyres I have purchased elsewhere? You can have tyres purchased elsewhere fitted at your local Merityre Specialists, however an extra charge, minimum £10 per tyre will apply. Simply contact your local centre and make an appointment to have your tyres fitted. Can I fit part worn tyres to my vehicle? Legally, yes part worn tyres can be fitted to your vehicle, however, Merityre Specialists would advise against using part worn tyres as they are potentially dangerous and offer a false economy. It’s worth noting that a huge 98% of part worn tyres are actually sold illegally and do not meet government safety regulations*. The main risk with buying part worn tyres is that you cannot see what damage they have suffered. There may be internal structural damage which could be potentially fatal even if the tyre looks fine externally. Merityre Specialists offer a wide range of premium manufacturer and quality budget tyres to suit every driver, vehicle and pocket so have a look at the new tyres we stock online instead. Do I need to drive differently on new tyres? You should drive differently for the first 150-200 miles of a tyre’s life to help to break them in. This period will allow you to get used to your new tyres and enable you to get the optimum performance from your tyres. When first fitted, new tyres may not be able to provide the braking and gripping capabilities that you expect. This is because new tyres will have a stiff tread and the surface may have a layer of lubricant or be covered in tiny vent holes, due to the manufacturing process. To get the most from your tyres, you should avoid driving at high speed and sharp braking, accelerating or cornering. Find out more about driving in new tyres here. Should I invest in a spare tyre? It is not a legal requirement in the UK to carry a spare tyre in your vehicle and many newer models of car are designed without one. Some vehicles are instead equipped with a tyre repair kit. A spare tyre could prove invaluable if you suffer a puncture or damage and cannot get home, so if you don’t carry one it may be a worthwhile investment, especially if you frequently undertake long journeys or tend to drive around rural areas. If you do have a spare tyre, you should inspect it when checking your other tyres. If you are worried about the impact carrying a spare tyre may have on your fuel economy or if you have limited space in your vehicle, you may wish to consider a space saver tyre. Find out more about spare tyres here. What’s the difference between directional and non-directional tyre tread? Types of tyre can be incredibly confusing, and we often are asked to define the difference between directional and non-directional tyres. Whilst both designs use similar technology, including ribs, grooves and sipes, they are constructed differently. Directional tyres are designed to travel in one direction only (usually signified by an arrow) to offer enhanced resistance against aquaplaning. If this tyre is fitted the wrong way around, you will have very limited traction on wet surfaces and this is grounds for failure during the MOT test. Non-directional tyres can be fitted either way around, as they are optimised to perform well whichever way it rotates. Due to their tread design, they do not offer the same wet performance as directional tyres, however, due to the fact that they can be rotated to different sides of the vehicle, non-directional tyres usually offer a longer tyre life. Can I mix tyres on my vehicle? It is recommended that you fit the same tyres in all wheel positions on your vehicle, however, this may not always be possible. In this case, it is permissible to mix tyre brands and tread patterns, however, here at Merityre we recommend that the same brands and patterns are fitted across the same axle. It is also important that all tyres meet load and speed index requirements specified by the vehicle manufacturer. Before you attempt to fit un-matched tyres to your vehicle, we would highly recommend consulting your vehicle handbook or contacting a tyre specialist for guidance as incorrectly matched tyres can be dangerous and illegal. Forces that work against the tyre whilst it is in motion are known as ‘rolling resistance’ and this causes energy to be lost as the tyre works against this force, increasing fuel consumption and CO2 emissions. Some tyres have been built to offer reduced rolling resistance due to specialist compounds and these tend to be more fuel efficient and environmentally friendly. Run flats are tyres which have been specially designed to allow motorists to carrying on driving for a short period following a puncture. This means that if you do suffer tyre damage on the road, you won’t have to pull over and change it there and then, instead, you can drive for up to fifty miles and make it home or to a tyre specialist. They are able to run with no air pressure because of a reinforced sidewall which enables the tyre to retain strength without the air. Can punctured or damaged tyres be repaired? Damaged or punctured tyres can sometimes be repaired, however, this will only be in circumstances when the damage has not made any impact to the internal structure of the tyre. This is because when the internal structure of the tyre is damaged, accelerating, braking, cornering and control are all affected which jeopardises the safety of you, your passengers and other road users. You should regularly inspect your tyres for any signs of damage and you can take a look at our helpful guide if you aren’t sure what you’re looking for here. If you do find any forms of damage, you must have your tyre either replaced or repaired as soon as possible. Alternatively, you can visit your local Merityre Specialists for a free tyre check. The correct tyre pressures enhance your handling capabilities, reduce your fuel consumption and promote even tyre wear, so it is important that you maintain them. The recommended pressures for your tyres are specified by your vehicle manufacturer and vary between vehicle make and models. You can easily find the specified tyre pressures for your vehicle by checking your vehicle handbook, fuel cap or the inside edge of your car door. Tyre pressure is measured by calculating the air in your tyre in pounds per square inch (PSI). A Tyre Pressure Monitoring System, or TPMS, is equipment fitted to tyres that will alert you if your tyre pressure drops 25% below the manufacturer’s recommended pressure. The TPMS is an electronic system comprised of a sensor and a corresponding dashboard warning light, as pictured. All new cars from 2014 and all new type vehicles manufactured from November 2012 are fitted with a TPMS by law, and some older cars may also use this technology. By alerting you that tyre pressure has fallen, the TPMS can prevent dangers on the road suffered by punctures, as you will be alerted quickly that your tyres are under-inflated. A faulty or broken TPMS is an automatic MOT test fail. Merityre Specialists offer a range of TPMS services including maintenance and fitment of alternative, similar equipment if your vehicle does not come with TPMS technology. What are the benefits of nitrogen inflated tyres? Tyres are usually filled with compressed air, however, more motorists are starting to look at nitrogen inflation instead. The compressed air used to inflate tyres is made up of 78% nitrogen as well as oxygen and water vapour and this can leak through the structure of the tyre more easily, leading to a quicker rate of pressure loss and corrosion inside the wheel. Tyres that are inflated with pure nitrogen, in comparison, will maintain their pressure for longer resulting in better road holding and a reduction in fuel consumption. Read more about the benefits of nitrogen inflated tyres here. How often should I check my tyres and how do I do it? You should check your tyres every three weeks to make sure that they are in good condition. You need to check your Tyre Pressure as tyres driven with incorrect pressures can be dangerous. You can check this easily by finding out the correct level for your tyres in your vehicle handbook and using the facilities available at most service stations. You should also check that your tyres have sufficient Tread Depth and you can do this simply at home. All you need to do is place a twenty pence piece in to the grooves of your tyre in at least three different places. If the outer band of the coin is visible, your tread depth is insufficient and your tyres will need replacing. Finally, you should check the condition of your tyres, which can be done by visually inspecting your tyre sidewall for any cuts, lumps or bulges. If in doubt, take your car to your local Merityre branch where one of our tyre specialists will be happy to carry out a free, no obligation tyre check. As a car owner, it is your duty to ensure that your tyres meet legal requirements at all times. Below, we have listed some of the main scenarios which might mean that it is time for you to replace your tyres. Low Tread Depth – if your tread depth has dropped below the legal minimum of 1.6mm then you must have the affected tyres replaced or face a hefty fine and points on your licence. However, when tread drops below 3mm, gripping and handling properties are dramatically affected so this might be a better time to replace tyres. Learn how to check your tread depth here. Signs of Damage – If you find any signs of damage such as cuts, lumps or bulges on your tyre then you should contact a tyre specialist as driving on damaged tyres could be dangerous. You may not need to have your tyres replaced, as some damage can be repaired. Find out more about inspecting your tyres for damage here. Old Age – Most tyres will become worn or damaged before they have chance to age, however, this can happen and if your tyres do start to show signs of aging it is time to replace them. If cracks begin to appear or you have owned your tyres for over five years you need to have them looked at by a tyre specialist. What are the benefits of using summer tyres? Most vehicles are fitted with summer tyres as standard, however, some motorists choose to use all season tyres and some may switch to winter tyres during colder months. Although all season tyres offer performance all year round, they cannot offer the same high levels of performance and safety as summer tyres when temperatures reach a consistent average of 7oc or above. Due to their soft rubber compound and specially optimised tread patterns, summer tyres offer a better performance as they offer greater handling capabilities, higher levels of grip and increased resistance against aquaplaning throughout summer months. Read more about the benefits of summer tyres here. How can I keep my tyres safe during summer? During hot summer weather, tyre temperature increases at a faster rate and this results in rising tyre pressures. For this reason, it is important to check that your tyres are inflated to the correct pressures regularly and before any long summer journeys. If they are dramatically over inflated when cold, the rising temperatures could result in a tyre blow out on the road which may be dangerous. Find out more about how to check and adjust your tyre pressures here. Where can I store my summer tyres during winter? Owning a set of dedicated summer tyres and a set of dedicated winter tyres will help you to experience a superior driving performance all year round. Many people, however, are understandably reluctant to own two sets due to the lack of storage space for both sets. Alternatively, you can store your summer tyres at our Tyre Hotel. All season tyres, like the name suggests, are tyres that are suitable for use in all year-round seasonal conditions. They are constructed using a mixture of both summer and winter tyre technology so that they can resist aquaplaning, offer good levels of grip and maintain traction on snow and ice. It is important to bear in mind, however, that whilst all season tyres can perform all year round, the performance that they offer will be compromised in comparison to what you can expect from a dedicated seasonal tyre. Winter tyres are not a legal requirement in the UK, however, they are necessary when weather conditions become tough. This is because winter tyres offer a superior performance when temperatures drop below 7ºc, due to a specialist compound which enables them to remain supple in the cold. Summer tyres, however, become stiff in low temperatures and as a result, braking and gripping capabilities become affected. What should I carry with me in my car? Jump leads are great to have with you in case you get caught out with a flat battery. Spare tyre, a tyre jack and locking wheel nut key may prove invaluable if you suffer tyre damage on the road. Take a look here for more information on carrying a spare tyre. An ice scraper is crucial for road safety in snowy or icy conditions and it is worth keeping this item in your car in case of unexpected bad weather. A first aid kit is an essential especially if you are heading off on long journeys. Bottled water is always useful to have to keep yourself hydrated and to top up your engine coolant or screen wash if necessary. A spare, charged mobile phone or a charger that works from your cigarette lighter will prove a huge help if you find yourself stranded or lost. A blanket or coat will keep you warm if you ever break down or get stuck in traffic during cold weather. A torch is useful to have with you as it can be used to attract the attention of other road users if you break down at night or to help you if you need to look under the bonnet of your vehicle. Should I drive differently in winter weather? During winter, cold weather, slippery surfaces and heavy rain can lead to stressful driving conditions. To avoid unnecessary panic, there are a few steps you can take to prepare yourself for the difficulties of this time of year. Before setting off on any journeys, you should check both the weather forecast and travel news so you can anticipate what will be ahead. If snow storms, flooding or other severe conditions are predicted, it might be wise to avoid any unnecessary journeys. Whilst on the road, it is important to bear in mind that stopping distances increase on slippery roads so you should leave a larger gap in between your vehicle and the one in front. You should also allow yourself additional time to make journeys in winter as you may need to drive at a slower speed and take your time if road surfaces are icy or thawing. Your visibility may also be affected if it is raining heavily or snowing. If this happens you should watch your speed and slow down and, if necessary, stop. Bear in mind that if your visibility is reduced, other drivers’ visibility will also be limited, so whether day or night, you should use dipped headlights to help other motorists see you more easily. What should I be aware of when driving in strong wind? Many motorists underestimate the dangers of strong winds, however, this weather condition can be highly dangerous as it can cause your vehicle or other vehicles to be blown off course and it can leave debris in the road. You should always listen out to weather reports before undertaking long journeys and be aware that wind can be most dangerous in exposed areas, so choose to take a sheltered route if possible. Slow down and increase your distance from the vehicle in front, as wind can have a negative effect on your handling and braking performance. Hold your steering wheel firmly and anticipate gusts of wind, which could potentially blow you off course. You should also be wary when passing high sided vehicles and watch the road for debris, such as fallen trees, which could obstruct your journey. How should I drive when roads are icy? You should consider roads as icy when temperatures drop below 4°C, whether or not you are able to see any signs of ice or snow. In some vehicles, a cold weather warning will illuminate on your dashboard at this temperature. Ice covered surfaces will be slippery and could be dangerous, so it is important that you adjust your driving style accordingly. Drive slowly and leave a larger gap than usual between your vehicle and the one in front, we would recommend that this gap is ten times larger than the one you would ordinarily leave. This should allow you time to safely come to a stop. You should avoid any sudden manoeuvres and try to drive as gently as you can. If you do find yourself skidding, steer into the skid gently and avoid using your accelerator or brakes. Once you regain traction with the road, carefully steer your vehicle in the direction that you wish to travel. How should I drive in snow? Driving in snow can be hazardous and you need to prepare for it before you even get in your car. You should check your tyre tread is above 3mm every 3 weeks, as anything lower than this will not provide the gripping abilities that you require in snow and replace them if necessary. Before you head out, you should also check weather reports and avoid driving if there is snow on the ground or forecast unless absolutely necessary. If you do have to drive in snow, you should maintain a slow speed and ensure that all movements, such as steering, accelerating and braking, are done as gently as possible. If snow begins to fall whilst you are driving it is important to bear in mind that visibility will be reduced. Pay extra attention to the road as signs may be obscured and use your dipped headlights to help other motorists to see you easily. How can I avoid aquaplaning? Aquaplaning is what happens when there is water between a tyre and the surface of the road which leads to a loss of traction, resulting in the vehicle becoming out of control. Aquaplaning can be highly dangerous depending upon the speed the vehicle is travelling, the depth of the water and the condition of the tyres. How do you drive safely through a flooded area or ford? Driving through water, no matter how shallow, always poses a risk to drivers and vehicles as wet surfaces can cause you to aquaplane and lose control of your vehicle, and deeper water can even result in expensive engine damage. We would recommend that you avoid fords and areas prone to flooding following heavy rain unless absolutely necessary. First, you should check how deep the water is – checking against the kerb usually provides a good indication – and avoid anything deeper than six inches standing. Then proceed slowly on the highest section of the road, ensuring that you have a clear path through before proceeding – stopping in water could seriously damage your vehicle. As soon as you exit the flooded area, gently press your brakes to help dry them out and check that they are still working. How should I drive if there is mud on the road? Mud on the road may not seem serious, but it can be dangerous as it can cause you to lose traction and may affect your handling capabilities. Firstly, you should examine the condition of the mud, if it is deeper than two inches or contains debris, you should avoid driving through it. If not, you should drive slowly without using the accelerator and keep steering to a minimum. If you begin to skid, do not slam your brakes on, instead gently try to keep your steering wheel still, directing the vehicle in a straight line, and you should begin to slow down and regain traction. How should I drive in steep areas? Stick to the side of the road rather than driving in the centre on winding uphill roads. If you are faced with an oncoming vehicle, remember that the one travelling uphill has right of way. When descending, drive slowly using lower gears but try not to constantly keep your foot on the brake pedal as this can cause damage to the braking system. Maintain a slow speed when driving uphill, but not so slow that you lose momentum. Shift your gears down if you feel like your vehicle is struggling. Weaker road surfaces can be subject to cracks, often caused by the pressure of traffic driving on top of it. Water, usually from rain, then gets underneath the surface of the road and further weakens the road, making it more susceptible to damage and potholes. In addition, if the water underneath the surface of the road freezes, it will expand the size of the crack and over time this can erode the road, resulting in potholes. Potholes in the road can cause significant damage to vehicles and tyres including affecting wheel alignment and causing tyre damage. If you feel that your vehicle may have been damaged as a result of a pothole, make an appointment at your local Merityre Specialists as soon as possible. A low emission zone is a traffic pollution scheme located around London which aims to reduce harmful emissions from commercial vehicles. This zone covers most of Greater London and is applicable to lorries, coaches, buses, minibuses and some specialist and historic vehicles. If you drive one of these vehicles you will need to pay a charge to bring it in to the areas marked as a low emission zone. Check if your vehicle is affected here. What should I do if I breakdown on the road? Breaking down on the road can be dangerous so it is important that you know what to do should the situation arise. Firstly, it is crucial that other drivers are aware that you are in difficulty so they can avoid crashing in to you on a fast moving road. Switch your sidelights and hazard warning lights on to make sure that you are visible to other drivers. You should also attempt to get off the road as soon as possible and pull over somewhere safe such as a motorway service station. If you are on a motorway and forced to stop as soon as possible you should use the hard shoulder and once safe you should call for help and inform the police so that your breakdown causes as little impact to other motorists as possible. Switch off your air conditioning and open your windows as this will decrease the engine load and help your vehicle to cool down. Switch your heater on full to transfer heat away from the engine and into the cabin. Find somewhere safe to pull over and switch the engine off. Open your engine hood from the driver’s seat but be aware that this could be extremely hot. If the heat feels potentially dangerous, wait at least thirty minutes before fully lifting the lid. Once the engine has cooled, check the water coolant level. If this is empty it may mean that it has leaked. Carefully refill the engine coolant with water once the engine has cooled down and drive to the nearest fitting centre to have your vehicle checked by a specialist. What should I do if my car doesn’t start? If your car doesn’t start there are a number of possible causes and therefore a number of actions you should take. It is important that you first identify what happens when you try to start your car as this may give an insight as to why the car won’t start. If you hear a clicking noise you may have a dead battery. In most cases, simply jump starting your vehicle should start it again. However, once you have your vehicle running again, it’s advised to get the battery looked at by a specialist to check its level of charge. If faced with anything different, it is best to speak to a specialist to help you to diagnose the problem and get your vehicle back on the road. To jump start your vehicle, which you may need to do if your battery has drained and will not start, you will need a set of jump leads and another car with a charged battery. Make sure both cars are parked and in neutral with the ignition off. They should be parked closely together but not touching. Connect the leads carefully, following the instructions below. If you notice that either battery is corroded, leaking or damaged do not attempt to connect the leads as this could be highly dangerous, instead call in a specialist. Attach the other end of the black lead to a metal point inside the engine, away from the dead battery, such as a bolt, to earth it. Start the engine of the working car and wait thirty seconds before starting the engine of the car with the dead battery. Once the car with the dead battery starts running, allow it a couple of minutes to charge (watch the leads don’t become too hot) before switching both cars off and safely removing the cables in reverse to the way you attached them, taking care to ensure they do not touch together or touch any other metal point. Start the engine of the car with the flat battery and once it’s successfully running, drive around for thirty minutes without stopping to fully recharge the battery. If the battery did not recharge during this process, do not repeat, simply contact a specialist, as there may be a bigger problem at hand. How long should I spend warming up my engine? In cold, winter conditions, it is important that you spend a small amount of time warming your engine. This is because delicate components in your engine may become brittle if exposed to the cold and if you then immediately put a load on it, these can become damaged. By switching on the ignition before setting off, you will give the oil the opportunity to lubricate the engine and you can warm up your system. This process should only take around one to two minutes. How can I prepare my car for its MOT test? Lights – check that all lights are correctly fitted, fully working and the correct colour. Tyres – ensure that your tyre tread is not lower than the legal minimum 1.6mm and check that they are the correct size for your vehicle. Mirrors – your mirrors must not have any damage that obstructs your view of the road. Brakes – if your brakes are not working effectively or make any strange noises you should have them checked by a specialist before your MOT test. Driver’s view of the road – make sure that your view of the road is not obstructed by any windscreen damage, stickers or other items on your windscreen or dashboard. You should also ensure that your windscreen wipers are working. Take a look at our helpful MOT checklist for a more comprehensive list of the checks you should undertake before your MOT test. During an MOT, your vehicle will be subject to a number of tests to ensure that it is roadworthy and complies with legal standards imposed by the driver and vehicle standards agency (DVSA). A number of areas will be checked to ensure that they are in good working condition and operating correctly. These include lights, mirrors, tyres, brakes and steering. For a full run down of what will be checked during an MOT test at Merityre Specialists take a look at our guide. Can I drive my vehicle if the MOT certificate has expired? If your MOT certificate has expired you cannot legally drive or tax your vehicle and if you are caught to be driving a vehicle that does not have a valid MOT certificate you face a £1,000 fine. In addition, driving without an MOT certificate could invalidate your car insurance. The only exception for this is if you are driving the vehicle to a booked MOT test. Can I get an MOT test before my previous twelve months has expired? An MOT test is valid for twelve months, however, you can renew your MOT early and keep your renewal date. This can be done from the day after the eleventh month anniversary of your MOT, for example, if your MOT expired on 15 May, the earliest you can get an MOT is 16 April. How do I know that my MOT testing centre is legally approved? When booking an MOT test, it is important that you only use a testing centre that has been approved by the DVSA, formally VOSA. For this reason, you should use an MOT testing centre which states that it has been DVSA approved or displays the official MOT sign, pictured right. What can I do if my vehicle fails its MOT? In the unfortunate event that your vehicle fails its MOT test, Merityre Specialists offer a free retest (within 10 working days) and we will be happy to offer you a quote on the repairs required to your vehicle for it to pass your MOT test. A large amount of vehicles fail their MOT test due to things which could have been avoided, such as broken lights or tyres that do not meet legal requirements. To help prevent this, take a look at our helpful MOT checklist and help your vehicle to pass. What can I do if I feel my vehicle has incorrectly failed its MOT? If your vehicle has failed its MOT test and you feel that this is incorrect for a valid reason, you should first speak to the centre where you had your MOT test. Explain why you think your vehicle should have passed and give the centre chance to explain why it has failed and take another look if an error has been made. Following this discussion, if you still feel unhappy the DVSA advise that you submit an appeal. This must be done within 14 days of the initial MOT test. Find out more information from the DVSA website here. Is a car service different to an MOT? Many vehicle owners overlook the importance of a vehicle service and mistakenly believe that it is the same as an MOT test. The MOT test is an annual test designed by the government and it must be undertaken annually once your vehicle reaches three years old. The MOT test ensures that your car is roadworthy, whereas a car service checks the mechanical condition of it. During a car service, a qualified technician will look at the parts of your vehicle susceptible to wear and ensure that it is in good mechanical condition. Having your car serviced regularly will help to reduce your risk of breakdowns and can help you to avoid unnecessary repair bills further down the line. For more information, take a look at what is checked during the MOT Test and during a car service. Which car servicing options are offered at Merityre? At Merityre Specialists we offer three car servicing options to suit varying requirements. We provide a comprehensive Gold Service which includes a full check of your engine, a replacement of spark plugs, air filter and fuel filter (if applicable) as well as an inspection of the exterior and interior of your vehicle. Our Silver Service is a full servicing option and we would recommend this is undertaken every 12 months or 12,000 miles. During the Silver Service, we will check your engine, brakes, tyres and steering. We will also perform a diagnostic check. We also offer a short car servicing option, which is called a Bronze Service. This is ideal for cars which are frequently used to drive long distances as it checks that all essential vehicle components are performing satisfactorily. Merityre Specialists provide car servicing at our Andover, Bagshot, Chertsey, Farnham, Hazlemere Mots, Leatherhead, Little Chalfont, Sunbury, Thame, Wallington branches. Take a look at our car servicing options in more detail here. Do I need a Bronze Car Service alongside my annual Silver Service? This is dependent upon how frequently you use your vehicle and how far the distances that you tend to drive are. Long distance driving causes components of your vehicle to wear and so the more you drive, the more quickly wear will occur, meaning that you should have your vehicle checked more frequently. As a general rule, if you drive over 12,000 miles per year you should book a Bronze Service as well as an annual Silver Service. Find out more about car servicing options at Merityre Specialists. What should I do if my vehicle is long overdue a car service? Missing a vehicle service can have a detrimental impact on the condition of your vehicle and it will more likely cost more in the long run. This is due to the fact that a car service provides your vehicle with essential maintenance and allows the opportunity for any issues to be identified and remedied before they potentially develop in to more serious problems. In addition, if your vehicle is under warranty, missing specified service intervals can invalidate your warranty. It is recommended that you have your vehicle serviced every 12 months, or 12,000 miles. Vehicles which frequently drive long distances may benefit from interim servicing as well. If your vehicle is long overdue a car service you should make an appointment to have it serviced as soon as possible. Merityre Specialists would recommend undertaking a Gold Service in this instance, which is a comprehensive check that will ensure all vehicle components are working effectively to help maintain the condition of your vehicle. How can I check my engine coolant? As part of general maintenance, you should check your engine coolant every 2-3 weeks, to ensure that it is topped up to a sufficient level. To do this, you simply need to open your bonnet, when the car is completely cold, and locate the coolant container. If you are unsure where this will be, check your vehicle handbook. The engine coolant container is usually clear or constructed using a translucent plastic, so you will be able to see the liquid inside easily. Ensure that the level of liquid sits somewhere inside the minimum and maximum markings, which are clearly labelled on the container. If your engine coolant is not topped up to a sufficient amount, you must have it topped up as soon as possible. When should I replace the engine oil in my vehicle? The lubricating properties of engine oil will fade and become less effective over time so it needs to be changed. Different vehicle manufacturers have different recommendations when it comes to changing your engine oil, so the first thing you should do is check your vehicle handbook and ensure that you stick to the manufacturer recommendations. Over time, your brake fluid can deteriorate as the water content in the fluid increases and so the boiling point will drop. Vehicle servicing will usually involve checking the boiling point of brake fluid. Replacing it when necessary will prolong the life of your braking system and maintain the boiling point of your brake fluid. The point that brake fluid needs replacing varies between car manufacturers so you should find this information in your vehicle handbook. If your manufacturer does not offer any guidelines, instead contact one of our highly trained technicians at your local Merityre Specialists for further guidance. The exhaust system is a series of components and pipes which work together to convert harmful engine emissions in to less harmful gasses, it then filters them away from the vehicle whilst reducing noise and ensuring that the engine runs smoothly. The engine creates emissions such as carbon monoxide which are filtered through the exhaust system via pipes to the catalytic converter, which forces chemical reactions to transform the emissions to less harmful gases. The emissions then pass through the muffler, which reduces noise, and are filtered out from the vehicle through the exhaust pipe you can see at the rear of your vehicle. A catalytic converter is a device located within the exhaust of your vehicle and its main function is to convert three harmful compounds (hydrocarbons, carbon monoxide and nitrogen oxides) in to harmless compounds by using a catalyst. When the harmful compounds, in the form of gas, enter the catalytic convertor from the exhaust, the catalyst breaks them down and converts them in to carbon dioxide, water, oxygen and nitrogen. A loud roaring sound – this indicates that there is a problem with the silencer, which is the element of an exhaust system most likely to fail. Hissing noises – this could be due to cracks or leaks in the exhaust. Chugging noises – these could signify that the exhaust system has become blocked. Rattling sounds or metallic vibrations – these noises could signify that the exhaust is loose or misaligned. Other problems could be identified with a visual check. These could include holes, cracks or internal rust. If you have noticed any of these warning signs it means that your exhaust is in need of attention. Problems with your exhaust can be dangerous, as this could lead to carbon monoxide leaking in to the cabin of the vehicle. Visit your local Merityre Specialists for a free exhaust health check if you do suspect problems with your exhaust. My exhaust is getting louder – what could the reasons be? Unfortunately, all of these problems require specialist attention and if left could develop in to more serious issues. If you have recently started to hear any of the noises listed, visit your local Merityre Specialists branch for a free exhaust and emissions check. A car’s braking system is made up of a complex system of discs, cylinders and hydraulics and is crucial when it comes to your safety on the road. When you press your brake pedal, a force is transmitted and this engages the braking fluid which activates a caliper. This then engages the brake pads which put pressure on the rotators on the disc brake, and the friction this creates forces the wheel to slow down or stop. As there are many parts involved in a car’s braking system, it is important that you get it checked frequently to ensure that everything is in good condition. It could only take one component failing to make your brakes fail. Merityre Specialists offer a free brake check to ensure that your brakes are working effectively. The anti-lock braking system (ABS) is a safety system which is fitted as standard on all cars sold in Europe since 2004. It offers improved vehicle control whilst braking and can help to keep your vehicle stable during accidents. The ABS uses a speed sensor to distinguish when a wheel is about to lock up and it will then reduce the pressure on the wheel to limit the harsh effect of braking. This means that skidding is avoided and the driver is able to maintain control as the tyres retain traction with the road and can still be steered. ABS can keep you safe on the road so if you notice a problem you should have it inspected as soon as possible. 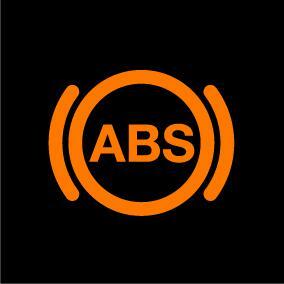 If there is a fault with your ABS then a warning light should appear on the dashboard whilst driving. How can I tell if my brakes are failing? In a similar way to tyres, brakes tend to wear gradually over time and they will become less effective. For this reason, you should have them checked regularly so you can feel assured that they will not fail on you when you need them most. If you do notice one or more of the above then you should take your vehicle to your local Merityre Specialists as soon as possible to have a free brake test. How do I know if I need new brake pads? Brake pads are the components of the braking system which are most susceptible to wear. During a vehicle’s lifetime, its brake pads will need to be replaced at least once. Maintaining the brakes of your vehicle is one of the most important tasks you have as a motorist so you should pay attention to the condition of your brake pads and keep an eye out for any signs that they need to be replaced. A loud squeal or screech noise – which indicates that the brake disc is making contact with the metal strip of the brake pad. This strip works like a wear indicator and alerts you that your brake pads are worn and need to be replaced. The brake pads are too thin – visually inspect your brake pads by looking through the spokes of the wheel. If there is less than ¼ inch of the brake pad visible then you need to replace them. If you have any concerns that your brake pads may need replacing visit your local Merityre Specialists for a free brake check. Alternatively, take a look at our brakes advice if you have any other concerns about the condition of your car brakes. How do I know when I need a new battery? In addition, if your battery is around 3-4 years old, you should have it checked to make sure that it is in good condition. The average lifespan of a car battery is four years, however, with good maintenance this can be increased. Taking positive steps such as ensuring that your battery remains dry, ensuring all electricals are switched off when you leave your vehicle and never allowing your battery to completely discharge can all work towards extending its life. As a precaution, Merityre Specialists would advise having your battery checked before your battery reaches four years old. When buying a new battery you should choose one which suits all your requirements. At Merityre Specialists we supply a full range of batteries from the Yuasa brand and we have ones which can suit your budget, usage levels and power capacity. Find out more about the batteries we supply here. An air conditioning system ‘conditions’ the air, helping to cool it and reduce the moisture content. This is done through a small circuit of tubes, fans and valves. Refrigerant passes around the system and goes through a highly complex process of evaporation and condensation, then compression and expansion. This process uses energy, produced using your fuel, which is why using the air conditioning can reduce your fuel efficiency. Over time, the pressure of the refrigerant will drop and the efficiency of your air conditioning and its ability to cool will become weaker and your vehicle will need to work harder and use more fuel. This is why most vehicle manufacturers recommend having an air con recharge every two years. Air conditioning systems need recharging with gas and lubricant every two years. This is due to the fact that every year approximately 10% of refrigerant, or gas, used in the system is lost. This means that your air conditioning system stops performing to its full potential and your engine has to work much harder to keep the air cool which in turn, uses extra fuel. If it has been over two years since you last had your air conditioning recharged, you should pay a visit to your local Merityre centre for your free* air conditioning diagnostic check. How can I tell if there is something wrong with my air conditioning? If you do notice any of these problems, book a FREE air conditioning diagnostic check at your local Merityre branch. Which refrigerant should I choose when I have my air conditioning serviced? At Merityre Specialists we offer a Mericool Aircon Recharge with standard R134a refrigerant gas or R1234yf refrigerant gas which has a low global warming potential. R1234yf refrigerant gas is currently only available for Jaguar, Land Rover, Kia, Honda, Subaru and Suzuki models manufactured after 2011. If you are unsure which refrigerant is best suited for your vehicle, you should check your vehicle handbook for the manufacturer’s specification. Although they sound similar, wheel balancing and wheel alignment are actually very different processes. Wheel alignment consists of adjusting the angles of the tyres so that your vehicle drives in a straight line whereas wheel balancing is a process that involves equalising the weight of your tyre and wheel assembly to ensure that your wheels rotate evenly and make full contact with the road. Wheels on a vehicle are always set to certain angles, as specified by the vehicle manufacturer, to provide enhanced steering response and even tyre wear. Unfortunately, it doesn’t take much for your wheels to become misaligned and it can be caused by hitting kerbs, driving over potholes and speed bumps and due to suspension repair. When do I need to have my wheels balanced? When you have new tyres fitted to your vehicle, you will need to have your wheels balanced to equalise the weight of the tyre and wheel assembly so that tyres rotate evenly, achieving a smooth drive and even tread wear. Over time, wheels will become unbalanced again due to general driving wear. When your wheels become unbalanced, you should make an appointment to have your balance corrected. Make an appointment at your local Merityre Specialists branch to have your wheel balance corrected. You can find out more about wheel balancing here. What is the best way to protect alloy wheels? If you want to protect your alloys from dirt and grime, there are many wheel sealant products that you can use. These help to provide a protective barrier between harmful components, like brake dust, and the surface of your alloy wheels. If you are concerned about damage to your alloy wheels due to kerbing or other wear and tear caused from driving, you may wish to consider investing in AlloyGators. AlloyGator is a patented wheel protection system which sits between your alloy wheel and tyre to offer protection. Merityre Specialists Andover supply and fit the full range of AlloyGator products and you can take a look here for further information. In modern cars which offer a large variety of helpful electronics it can be difficult to decipher what the symbols on the dashboard are telling you when something goes wrong. It is important to know what these symbols mean as they could prevent a breakdown or a hefty repair bill if you prepare yourself as soon as you see the warning. If you see this symbol then there could be a problem with your braking system. As one of the most important components of your car, you should have your brakes looked at as soon as you see this sign. It may indicate a low brake fluid level, that your brake pads are worn or that there’s a fault with the anti-lock braking system. The battery symbol indicates a problem with your vehicle’s electrical system and your battery may not be charging. If this is the case, your vehicle may run out of electrical power whilst you are driving and you could find yourself grinding to a standstill. The oil warning light will flash up if oil temperature gets too hot, the level is too low or if oil pressure is too low. If your oil level is low, or the pressure of your oil has dropped, the oil will not be able to lubricate your engine effectively. This could result in serious engine damage, so see a specialist if you see this light. Your tyre pressure monitoring system indicates that your tyre pressure level has deviated from its normal level. The reason behind this is often tyre damage or a puncture. So if you do see this symbol, check your tyres as soon as possible. 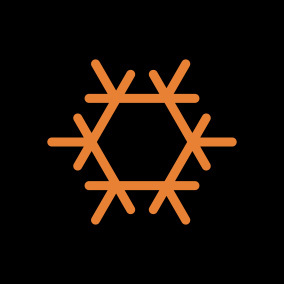 This symbol indicates that there could be a problem with your airbag. This means that in a crash your airbag may not deploy or it could deploy randomly without warning. Either of these scenarios are fraught with potential dangers, so get this checked as soon as possible. There are many other dashboard symbols that can signify problems with different components of your car and it is important to get your car checked if any of these do come on. If you can see a dashboard warning light whilst driving and are unsure what it means or what you should do, simply contact your local Merityre Specialists branch where one of our team will be happy to advise you. What should I do if the power steering warning light appears on my dashboard? This symbol is your car’s power steering warning light, often known as the EPAS light. When lit, it indicates that there is a problem with your steering system. This may mean that your power steering fluids are low and need to be topped up, however, if you have recently had your fluids replenished this could indicate that you have a leak in the system. Be aware that this light is warning you that your power steering may fail. Steering is possible without the assistance of power steering, however, it is difficult and could put you at risk if it cuts out whilst you are manoeuvring on the motorway. As soon as you notice this warning contact your local Merityre Specialists and get it checked. What should I do if the engine warning light appears on my dashboard? If this light appears on your dashboard it means that there may be a problem with your engine. This is often accompanied by other symptoms, including a lack of power or stuttering noises when accelerating. Whilst this light may be something small, like low oil pressure or overheating, it could equally be a sign of something more serious. Furthermore, even if it is something small, ignoring the light and continuing to use your vehicle could cause more serious damage to your engine. For this reason, you should have it checked over by a specialist as soon as possible. During winter it is important that your vehicle is prepared to face cold weather conditions. You should check your tyre tread every 3 weeks, replacing your tyres if tread drops below 3mm, and ensure that your tyre pressures are correct. Car batteries are put under additional strain in winter so you should book a FREE battery check if yours is older than 3 years of age. You should also ensure that your engine oil, coolant and screen wash are topped up to a sufficient level. If you need to top up your coolant or screen wash, ensure that you use the correct concentration of antifreeze as recommended by your vehicle handbook. How can I remove ice from my windscreen? The best way to remove ice from your windscreen is by using an ice scraper. These are usually cheap to purchase and we would recommend that you keep one in your vehicle. Some motorists use boiling water to de-ice their windscreens, however, the change in temperature could cause your windscreen to crack. You should also avoid using your windscreen wipers as they may be frozen to the glass and switching them on could cause a fuse to blow. How can I demist my windows? When it is cold outside, your windscreen might be covered with condensation which can obstruct your vision. Condensation is caused by moisture in the air so you will need to essentially dry it out. You can use your heater to de-mist your windows, simply ensure that the flow of air is directed at the windscreen and use cold air to clear it more rapidly. If your car has air conditioning, use this in conjunction with your heater – if it takes a long time to clear, you may need to consider a Mericool Air Conditioning Service. How can I prevent my vehicle from rusting? During winter the body of your car has to contend with damp weather, snow, ice and salt on the roads, all of which can lead to corrosion and rusting. Before winter strikes, you should wax your vehicle to create a sealant which can help to provide water resistance. The underside of your vehicle is completely exposed so we would recommend trying to avoid puddles and driving through flooded areas to keep it as dry as possible. Although water can lead to rust, we would recommend washing your vehicle more frequently in winter. This is because salt used to grit the roads is the biggest threat to your vehicle and washing it will help you to remove it. You should also regularly visually inspect your vehicle for early signs of rust – focus on your exhaust, wheels, bumper and the areas where body components meet. How can I prepare my vehicle for summer road trips? Before heading on a long journey this summer you should prepare your vehicle. You should check that your tyres are in good condition by checking tyre pressures and tread depth and ensure that all lights are working as usual. You should also make sure that your windscreen wipers work effectively and do not display signs of damage such as cracks or splits. Do my airbags ever need to be serviced or replaced? Most modern vehicles are fitted with airbags that have been designed to last for the lifetime of the vehicle, but there is no way to check that they have not deteriorated. For this reason, if you are worried about the condition of your airbags you should contact your vehicle manufacturer for information regarding their life expectancy. If your airbags have been deployed or if the airbag symbol on your dashboard has lit up then you should contact a specialist to have them inspected, repaired or replaced immediately. When do my windscreen wipers need to be replaced? It is easy to overlook the impact that a small component like a windscreen wiper has on your vehicle safety, but as they help to provide you with a clear view of the road ahead, it is important that they are in good condition and working effectively. If you have noticed that your windscreen wipers leave streaks or smears on your windscreen, do not remove all water or other debris or make scraping noises, you should have them replaced. You should check your windscreen wipers regularly for signs of wear which may include cracks or tears, even if you have not noticed any of the symptoms above. This is because worn windscreen wipers can cause windscreen damage which could be dangerous and will more likely be more expensive to repair then windscreen wipers are. Filling your petrol car with diesel can be an expensive mistake to make as it can cause damage to the engine and may lead to a breakdown. Putting diesel in a petrol car also needs to remedied quickly, however this is much less likely to occur as diesel nozzles will not fit in a petrol car. If you notice your error before driving away, avoid switching your engine on and contact your breakdown cover provider who will be able to assist. Problems are most likely to develop the longer that the wrong fuel circulates around your engine, so you should pull over safely as soon as you realise your error. If you do not realise until you have broken down, call your breakdown provider as soon as possible. There is no standard time period for having your suspension checked and at Merityre Specialists your suspension system will be checked as part of a car service. You should also make an appointment to have it looked at whenever you notice any of the signs listed above. Worn or ineffective suspension can add metres to your braking distance and can have an impact on your road handling capabilities. Make an appointment at your local Merityre Specialists to have your suspension system checked. We provide visual checks, bounce tests and our MOT test centres feature shaker plates which are designed to test suspension. How can I tell if I have problems with my suspension? Vehicle suspension can be difficult to check as it tends to wear gradually. It is important that you keep an eye out for any signs that it is beginning to wear as your vehicle’s suspension system provides safety when driving by keeping your tyres in contact with the road. You should look out for reduced braking efficiency and your vehicle taking longer to slow down or reach a stop. In addition, if driving becomes less comfortable and you begin to feel bumps and vibrations then you should have your suspension checked.